California Medicare FraudInvestigation Defense Lawyer - Oberheiden, P.C. The state of California is experiencing a surge in Medicare fraud audits, investigations, and prosecutions. Over the last few years, the federal government has installed a Medicare Fraud Task Force in Los Angeles to work with state and other federal agencies in detecting and enforcing Medicare fraud violations. 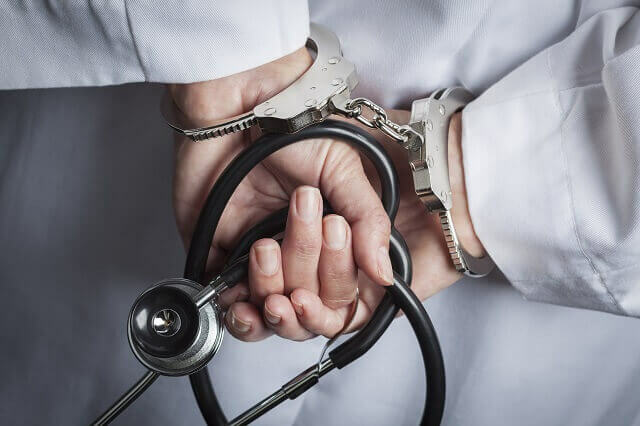 If faced with an investigation for Medicare fraud, individuals and businesses risk steep financial penalties, exclusion from federal healthcare programs, and criminal penalties. Maximum 10-year prison term for each count of Medicare fraud. Maximum 20-year prison term for each count of Medicare fraud resulting in serious bodily injury to a patient. Maximum of life in prison for each count of Medicare fraud resulting in the death of a patient. At Oberheiden, P.C., our top priority is helping our clients avoid criminal charges and penalties as the result of a Medicare fraud investigation. Our former federal healthcare prosecutors and veteran healthcare defense attorneys rely on their government experience, healthcare industry knowledge, and national reputation to achieve successful outcomes for clients. Early Intervention. We know that the earlier a target of an investigation has a defensive strategy in place, the more likely the target will avoid charges, because the longer a target waits to actively defend against an investigation, the longer federal prosecutors have to freely develop their case. Therefore, at Oberheiden, P.C., we get to work on a defensive strategy the minute we are hired. We treat every client’s case as an emergency. We start by answering our client’s most pressing questions: Is the investigation civil or criminal? What charges are at issue? What is our client’s potential exposure to liability? How can we prove our client’s innocence and lack of intent? It is our mission to answer these and other questions within days of being hired. No Criminal Charges. Our number one priority in any representation is to avoid criminal charges against our clients. In order to prevail on criminal charges of Medicare fraud against a defendant, a prosecutor has to prove that the defendant had criminal intent to commit Medicare fraud. Prosecutors are well aware of their burden, and they are much less likely to bring criminal charges against a client if they are unsure of their ability to prove criminal intent at trial. At Oberheiden, P.C., we make clear to the prosecutors pursuing our clients that we will hold them to the full extent of their burden of proof regarding our clients’ intent at trial. Where we see that our clients made a mistake but did not intend to commit fraud, we strive to persuasively demonstrate that to investigators and prosecutors early in the investigation so that no criminal charges are ever brought. Borrowing from our experience working as federal prosecutors, we communicate our clients’ innocent intent in a way that prosecutors understand. Depth of Understanding. After years of practice and hundreds of healthcare cases, Oberheiden, P.C. has determined that there are two key elements to a successful defense against Medicare fraud claims: 1) extensive federal trial experience and well-honed negotiation skills, which allow us to effectively advocate for our clients to judges and prosecutors; and 2) a well-rounded understanding of the healthcare industry and the intricacies of healthcare laws and regulations – including billing codes, certifications, and federal rules. Our strong grasp of the ever-changing legislation that governs the healthcare industry allows us to explore unique and creative defensive strategies for our clients. A nationally recognized healthcare defense firm, Oberheiden, P.C. has a large client base of California doctors, medical service businesses, and healthcare professionals. We regularly represent California healthcare industry participants facing investigation by the Department of Justice, the Department of Health and Human Services, the Department of Defense, and various federal task forces. Oberheiden, P.C. is available for a free and confidential consultation seven days a week, including weekends. You will speak directly with one of our senior attorneys about your case and how we can help you. Call us today.